The cause of Knight’s death will be determined by the Maricopa County Medical Examiner. No evidence of foul play was detected, according to the Phoenix Police Department. Knight, 39, played for UCLA from 1998-2002, averaging more than 14 points per game his senior season before entering into the 2002 NBA Draft where he was undrafted. Knight played professionally overseas including stints in France and Japan and worked as a basketball skills coach. The Italian star is enjoying her best ever Championships at the All England Club and is targeting a first Slam triumph. Camila Giorgi is one of the rising tennis stars and has put together a strong showing in the 2018 Wimbeldon tournament. Camila giorgi born in Macerata in 1991, the Italian has Argentinian parents and is one of four children. Trained by her dad Sergio, she has played tennis since the age of five and was spotted in 2000 by Maria Sharapova’s former tutor Nick Bollettieri. Six years later Giorgi turned pro and began competing in WTA events, reaching two semifinals in Baku and Jakarta during her first season. At Slams, her career best until this year has been a fourth round US Open finish in 2013. A powerful hitter, Giorgi likes to take risks on the court and is one of the most promising young stars on the Tour. Her highest ranking has been 30, which was in July 2015, but she is currently 52 in the world. The second round of matches is underway as Germany take on Sweden in Group F. The much-fancied Germans were stunned in their opening game, going down 1-0 to Mexico, so a win against the Swedes is vital if they are to qualify from the group stages. Sweden got their campaign up and running with a 1-0 win over South Korea. And a win for Janne Andersson’s side could see reigning world champions Germany exit the World Cup after the first round for the first time in 80 years. There’s been significant debate about the role of Marco Reus and whether he should be starting for Germany. Reus came on in the 60th minute against Mexico and Germany’s attack was notably better once he got involved. But Reus has suffered significant injuries the past few seasons, none bigger than a knee injury that caused him to miss more than half of last season with Dortmund. Midfielders: Julian Brandt (Bayer Leverkusen), Julian Draxler (Paris St Germain), Leon Goretzka (Schalke 04), Ilkay Gundogan (Manchester City), Sami Khedira (Juventus), Toni Kroos (Real Madrid), Marco Reus (Borussia Dortmund), Sebastian Rudy (Bayern Munich), Mesut Ozil (Arsenal). Germany will be raring to get over their surprise 1-0 defeat they suffered against Mexico in their opening Group F game. Hirving Lozano scored the only goal of the game which had the German players scratching their heads and gazing at one-another with confused looks. In their first game Sweden strolled past South Korea, Andreas Granqvist scored the only goal of the game from the penalty spot. South Korea failed to register a single shot on target and will certainly be tested against a Germany attacking force with a point to prove. The Spaniard will play 11th seed , 25, in the last eight. His compatriot Juan Martin del Potroalso moved into the last eight with a 6-4 6-4 6-4 win over American ninth seed John Isner. Nadal said I don’t feel old, but I am 32, and I have been here since 2003, so it’s a long way, a lot of years. When you’re not as strong or you’re not as tall as Anderson, you can still win the match. I think people like me more, as well, for that, because they were supporting me. They wanted me to remain in the game and the fact he was twice as tall as me was a reason for me to try and remain. But you can have a very good serve whether you’re tall or small. That didn’t have anything to do with it. 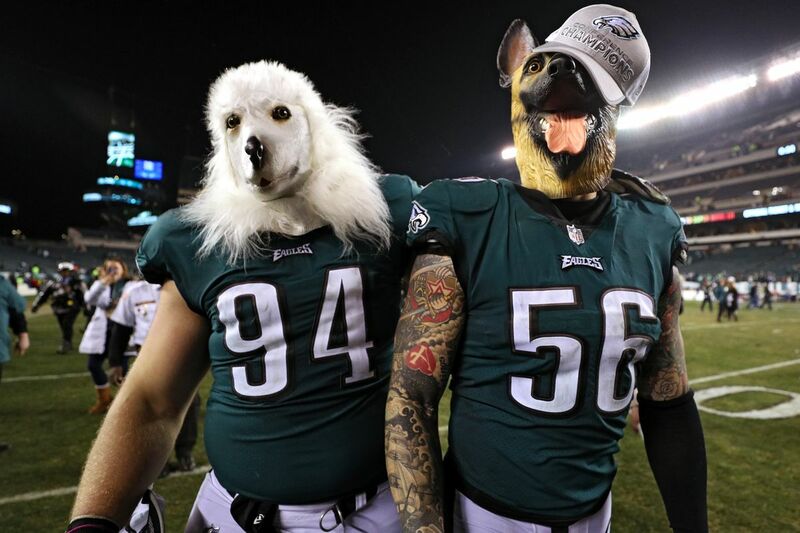 Philadelphia Eagles in Jolly Old England: How much are tickets, when do they go on sale. This will be the Eagles’ first-ever regular-season game overseas. The team has previously played in international preseason games: 1978 vs. New Orleans in Mexico City. Regular tickets for the two Wembley Stadium games i.e the Eagles vs. Jaguars and the Titans vs. Chargers will go on sale May 1, at 10 a.m. local time on Ticketmaster. prices will range from £21.00 to £156.00 converting British pounds to American dollars, that’s roughly $29 to $217 based on the current exchange rate.There will be a limit of 3 child tickets per adult. Anyone selecting an incompatible number of Family Adult and Family Child tickets through Ticketmaster will have their transaction voided and will see an error number displayed. If you see this warning, you must return to the event page and select the maximum of 3 Child tickets per adult. There will be a limit of 3 child tickets per adult. Anyone selecting an incompatible number of Family Adult and Family Child tickets through Ticketmaster will have their transaction voided and will see an error number displayed.